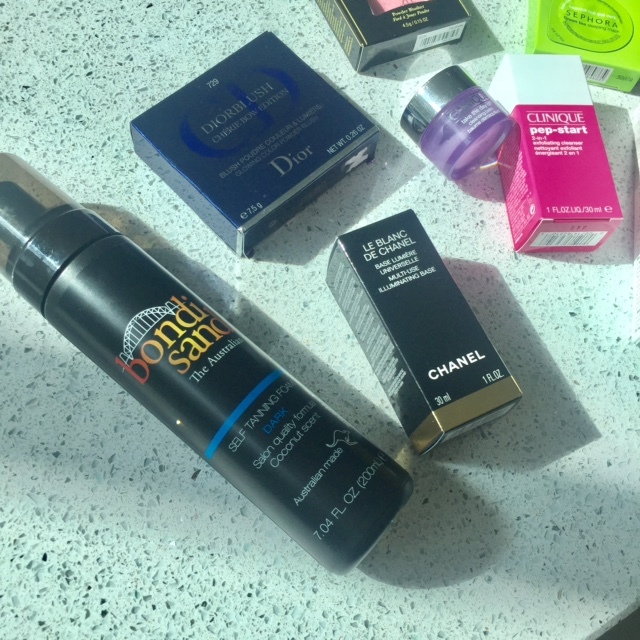 I had heard a lot about the Bondi sands self tanning foam! I think you can now buy this in the UK but I thought I may as well buy an Australian product while in Australia. I haven't used it yet as I still have a tan from my travels but I'm sure it will be fab. The Sephora in Sydney city centre was amazing ! I popped in to there about 5 times and each time I left with something new ! Firstly I picked up the Green Tea sleeping mask. It was only a few dollars and you know when you just want something there and then! I haven't actually used it yet as it is sleeping mask and I keep forgetting. Next trip I decided to try out the Urban Decay De-slick make up setting spray. This worked out as a bit of a bargain so I thought why not. I have heard good reviews of the Urban Decay sprays so I thought I would try one for myself. Im liking it so far and it truly does keep your make up in place. On another trip I bought the Clinique take the day off balm as I had ran out of my cleanser while I was there and then another day I bought the brand new Clinique pep-start exfoliating cleanser. I have been using it in the shower for the past few weeks and I'm loving it. I also got a sample of the moisturiser and it is so lovely I think I will need to purchase it once mine has ran out. When I arrived back in the UK I decided to spend the little bit of left over spending money I had on a few treats. You may have read my recent post about having a lovely make over at Clinique. 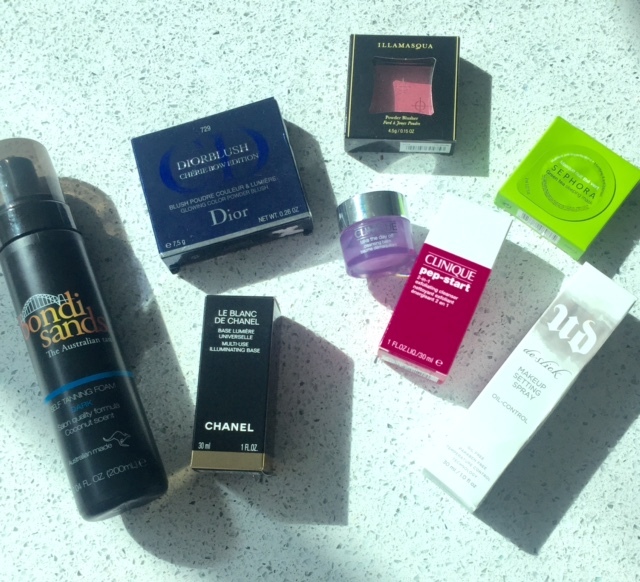 Obviously I had to treat myself to one of the products, so I picked up the Le Blanc De Chanel illuminating base. I love using this its such a luxury product. I also bought a new Dior Blusher and Illamaqua Blusher, these where both from T K Maxx so I got them for around half price each which was amazing! I love finding products like this is T K Maxx!